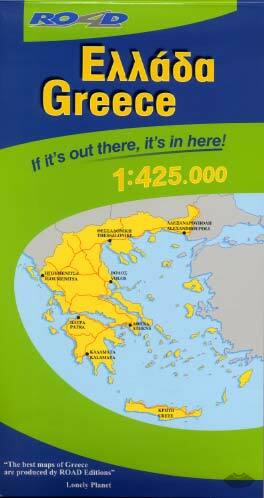 This is the most up to date and detailed precision map of Greece printed on two sheets (1x154 cm). Based on ROAD's popular 1:250,000 series, this map is a concentration of all the geophysical and travel information you need. All major roads, both surfaced and unsurfaced, with scenic routes are marked in green and with accurate distance. For the fisrt time, Ιonia Road is illustrated on the map! Its geophysical background was provided by the Hellenic Military Geographic Service, thus the mountains and plains of Greece, as well as the rivers, lakes and coastline are shown clearly and precisely.